Authors of this chapter offer Black junior faculty a praxis that thoughtfully supports their efforts to advance justice issues in their classrooms, whether a central or ancillary focus. Liberatory pedagogy supports the development of critical consciousness in students, which advances equity and justice in and beyond the classroom. Applying liberatory pedagogy with attention to the unique experiences of emerging Black faculty helps to mitigate the challenges these faculty may face as educators and change agents. This also empowers emerging Black faculty to mobilize their personal experiences and reflections for the interrogation, (re)construction, and delivery of content, strategies, structures. Through this chapter we offer emerging Black faculty a praxis that thoughtfully supports their efforts to address and advance justice issues in their classrooms, whether a central or ancillary focus. We chose to focus on emerging Black faculty members, following the poignant conceptualization of emergence offered by Harris and Njoku (2017). Expanding beyond newness, the authors interpret emergence as the persistent act of becoming – becoming visible, becoming important, becoming prominent. Through this lens we posit that the bodies, scholarship, and potential of Black faculty members are constantly emerging within contentious hegemonic institutions (Harris & Njoku, 2017). We speak from our experiences as emerging Black faculty members at predominantly White institutions, but the perspectives presented may be useful for emerging Black faculty members at other institutional types as well. A confluence of factors undergird the importance of this work: a) faculty of color are more likely than their counterparts to introduce diversity and social justice perspectives in their classrooms (Antonio, 2002; Park & Denson, 2009); b) students at predominantly White institutions often present resistance to equity topics especially when presented by faculty from marginalized identities (Ladson-Billings, 1996; Nordick, 2005), and; c) these challenges are compounded with the myriad difficulties Black faculty members concurrently experience in their institutions (Bonner, Marbley, Tuitt, Robinson, Banda, & Hughes, 2015). Essentially, Black (and other minoritized faculty) are leaders in equity and justice work in college and university classrooms, but carrying that mantle can create challenges to their personal and professional wellbeing and livelihood. Building on the wealth of knowledge from other scholars and pedagogues, we offer reflections and considerations for emerging Black faculty members who work to cultivate liberatory learning spaces, with specific attention to the inherent risks and complications they might face in the classroom. We offer this chapter to anyone who sees himself or herself as an educator for social change, but acknowledge that the essay is rooted in literature focused on the specific experiences of faculty members of color, and Black faculty specifically, in higher education. The literature supporting these ideas primarily focuses on experiences of tenure-track faculty members at four-year institutions. This is an important detail for those who hold different types of teaching roles and might want to put ideas presented here into practice. 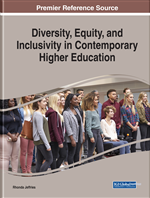 Notwithstanding, we hope this contribution can be useful regardless of teaching role, and will be one of many contributions to come, that support the teaching efforts of those marginalized within their teaching environments.